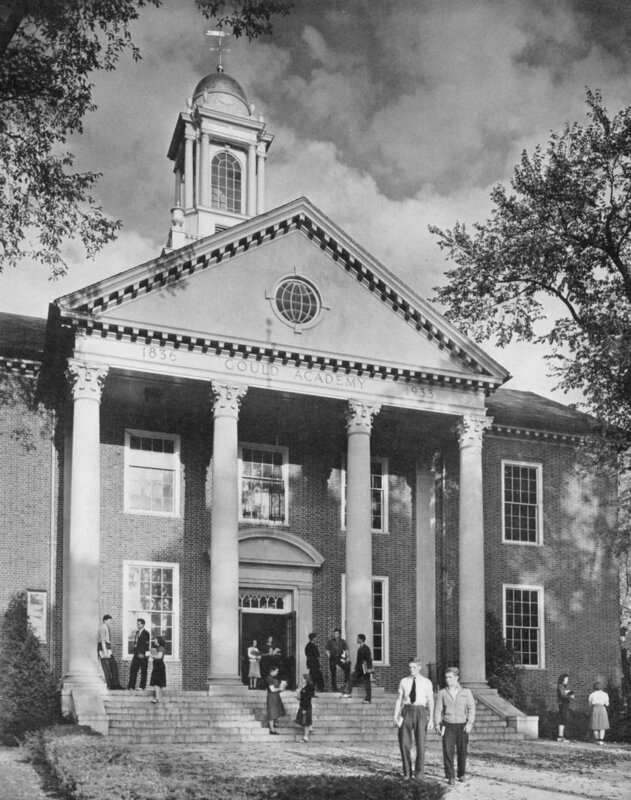 Established in 1836, Gould Academy is a small, coed college preparatory school, located in Bethel. It served as a town academy until 1969, and now hosts students from across the state of Maine, around the country, and across the globe. Hanscom Hall, the fifth major addition to Gould Academy, opened in 1934. The transition of the school from a predominantly day population to a larger boarding population necessarily brought with it changes to Hanscom Hall. 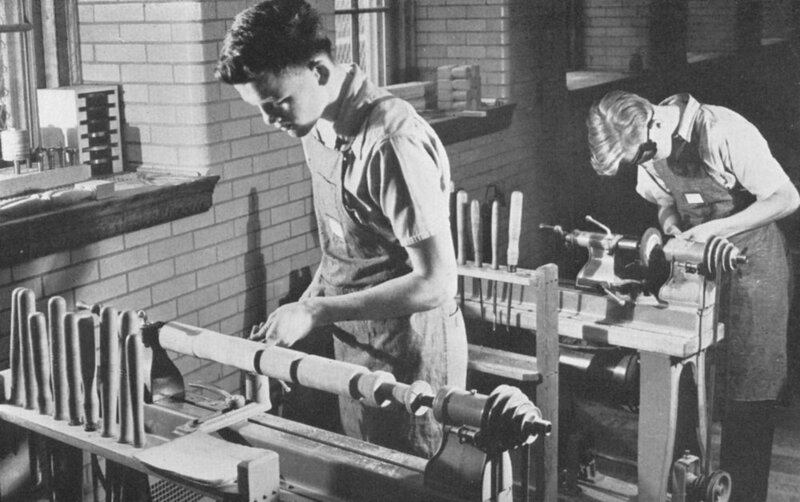 Notably, the manual training shop became a student union and the old study-and-assembly hall became a library. Twenty-first century educational practices drove further alterations to the first two levels of Hanscom Hall. The design committee strove to navigate the critical partnership between tradition, beauty, energy efficiency, and a bold new vision. Recognizing the historical value of the facility, an emphasis was placed on preserving, repurposing, or replicating original building materials. Alumnae expressed building features that were most important to them, and current students and faculty joined the design process. The library renovation design reflected a modern zoned learning commons. The lower level was transformed to open a large collaborative studio with additional studios for prototyping. The main foyer contains the original flooring, and original blonde brick and stairways were retained. Historic materials were also reused in unique ways; the slate from removed chalkboards was repurposed and re-engineered to make writable walls in the café space, the granite from old bathroom stalls was cut and buffed to create walls and heater covers, the cement floor was polished to retain the markings of boundaries of past classroom walls. Gould Academy designed an innovative and collaborative learning environment that is on the leading edge of educational practices, all while retaining enduring building materials and principles which connect the institution’s traditions and mission to modern practices.